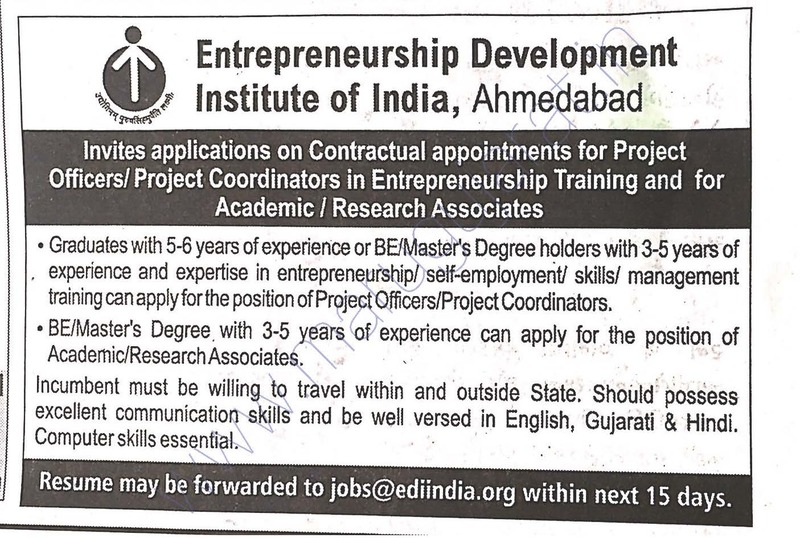 Entrepreneurship Development Institute of India (EDII) has published an Advertisement for below mentioned Posts 2019. Other details like age limit, educational qualification, selection process, application fee and how to apply are given below. Educational Qualification: The incumbent should have completed BE/Master’s Degree with 3-5 years of experience and expertise in entrepreneurship/ self-employment/ skills/ management training can apply. He/she must be willing to travel within and outside state. 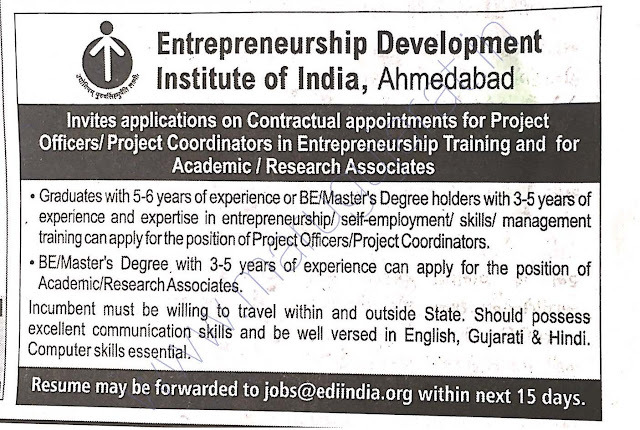 Should possess excellent communication skills and be well versed in English, Gujarati & Hindi. Computer skills essential. How to Apply: Eligible candidates may send their application & necessary documents to the given email address in the advertisement.